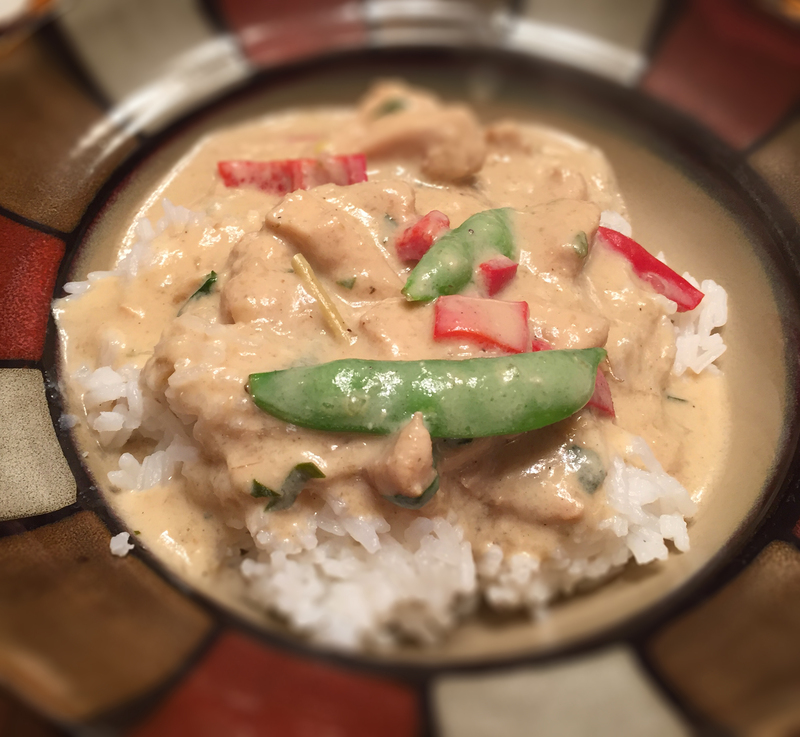 This is a recipe inspired by one of my all-time favorites dishes featured at a local Thai restaurant. Sadly, the place closed and I was forced to reinvent it for posterity. The flavor is intense and very complex. 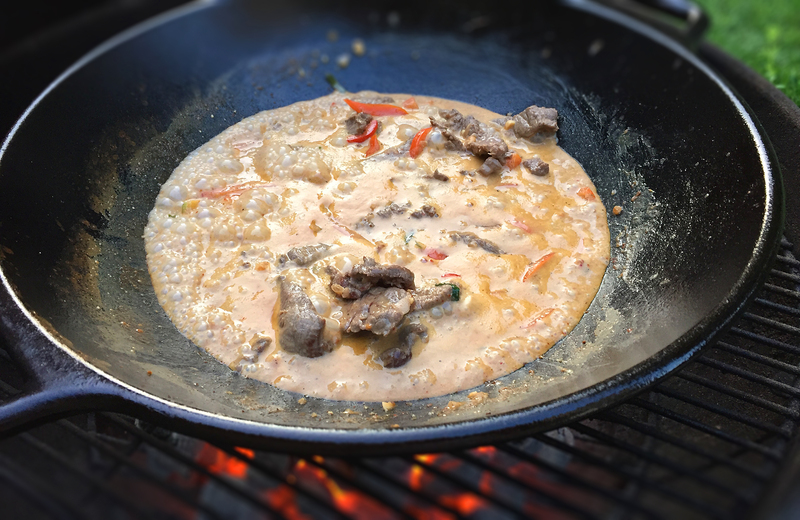 You will need a very sharp knife in preparing this recipe — lemongrass is a woody, fiberous stalk that is very hard to cut. 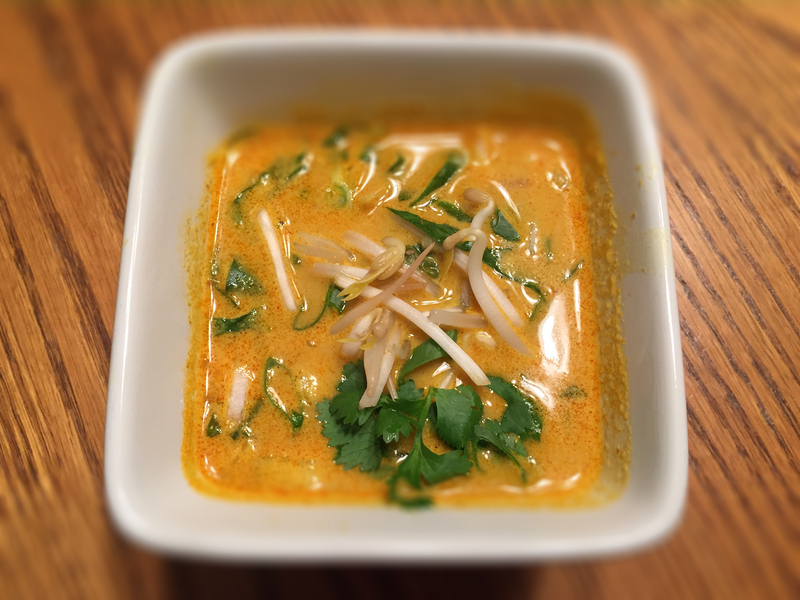 The aromatic flavor of the lemongrass and kaffir lime leaves are essential to this dish. Most Asian markets will carry both of these items, so you should have no trouble finding them. 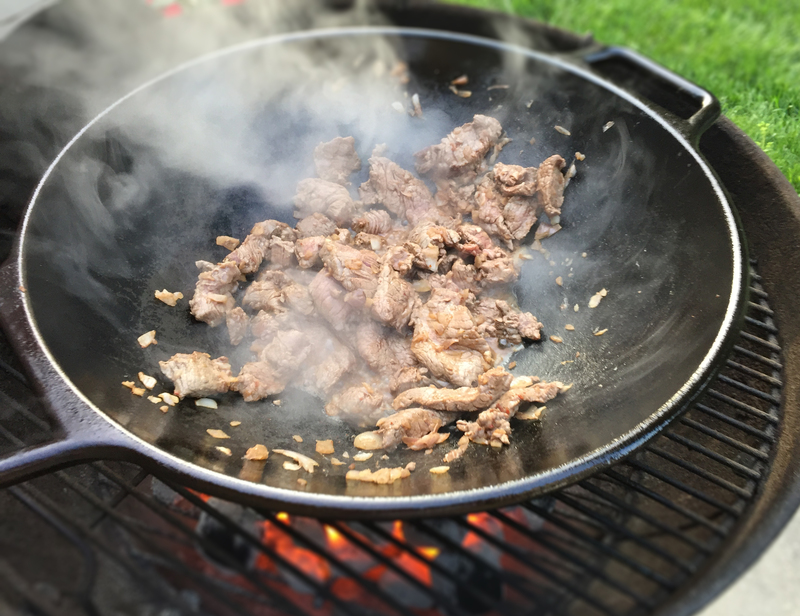 If you don’t have a good wok, I highly recommend the Lodge cast-iron version. It is built like a tank and can be used indoors over a gas or ceramic electric stovetop, or outside on a charcoal grill. I love mine and it has never let me down. Order it from Amazon and save yourself about twenty bucks. 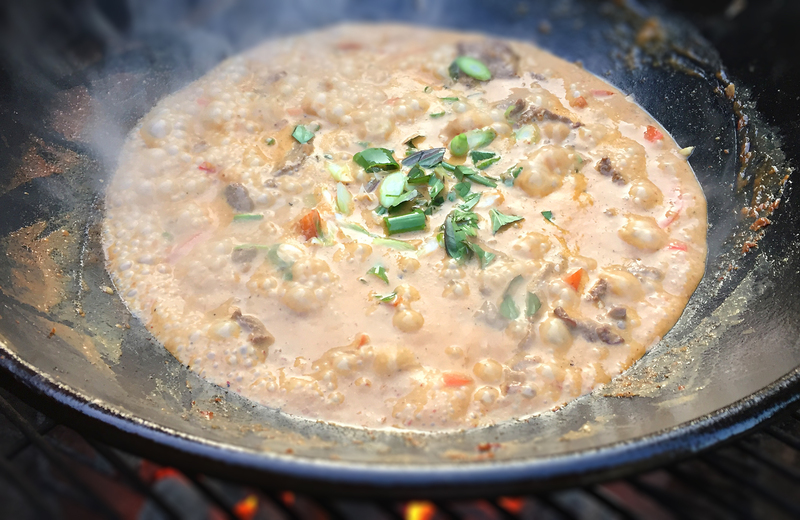 Enjoy — this is one of my favorite recipes. Marinade the chicken at least one hour prior to preparing the meal. Cut the chicken into 3/4″ pieces and place in a bowl. In a separate mixing bowl, add the soy sauce, lime juice and fish sauce. Add the minced shallot and ginger. Trim the lemongrass to 8″ and discard the root and green tops. Hit aggressively with a meat mallet and discard the tough outer sheath, keeping the inner core. Cut into 2″ sections and then finely julienne. Combine with the sauce and pour over the chicken pieces. Stir to ensure they are evenly coated and place covered in your fridge. 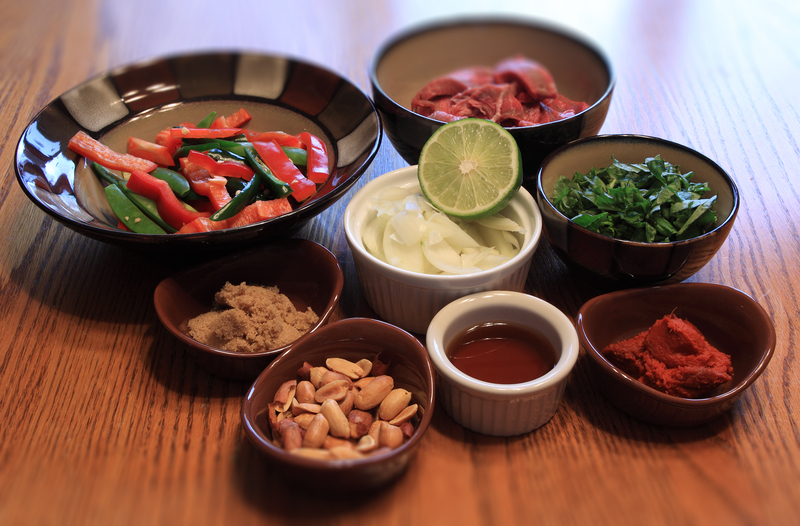 Cut, measure and prepare everything else so you are ready to go – Thai recipes are known for their short cooking times. 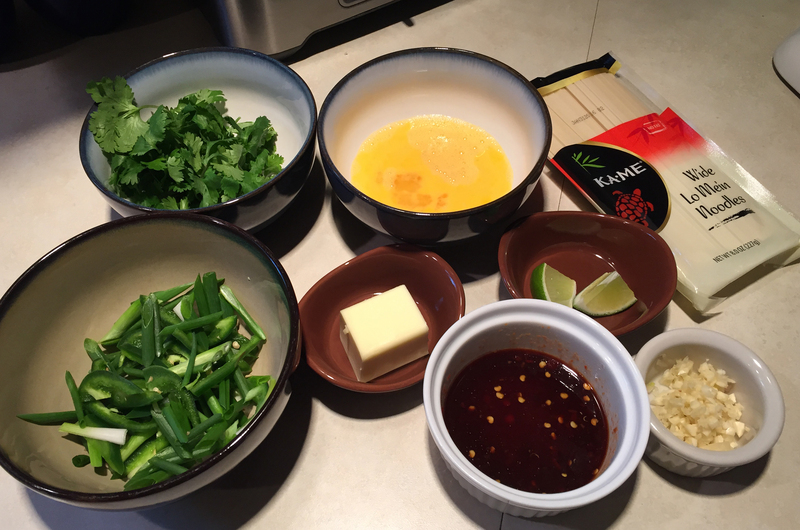 Preheat a wok over medium heat. Add the peanut oil and swirl to coat. When shimmering, add the garlic and saute for 30 seconds, stirring constantly so it doesn’t scorch. Quickly add the chicken and discard the marinade/lemongrass. Sear until no longer pink, stirring constantly. Add the chicken stock and fish sauce and bring to a slow boil. 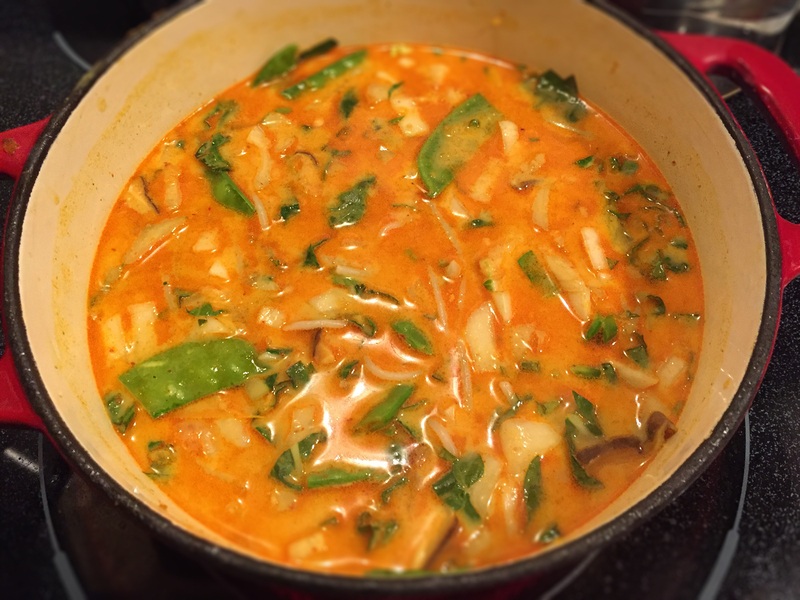 Add the coconut milk and kaffir lime leaves. Stir to incorporate. Add the Balti spice, green curry and brown sugar. Stir until slightly reduced, about 3-5 minutes. Add the snow peas, bell pepper, and basil and cook for three additional minutes. 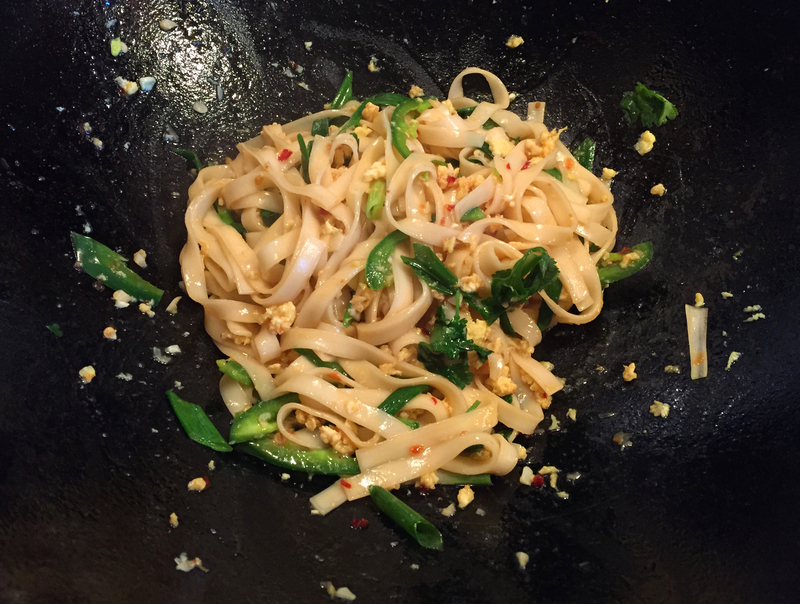 Remove the wok from the stove and place on a heavy serving trivet. Serve the lemongrass chicken over hot jasmine rice with cilantro and scallion as a garnish.